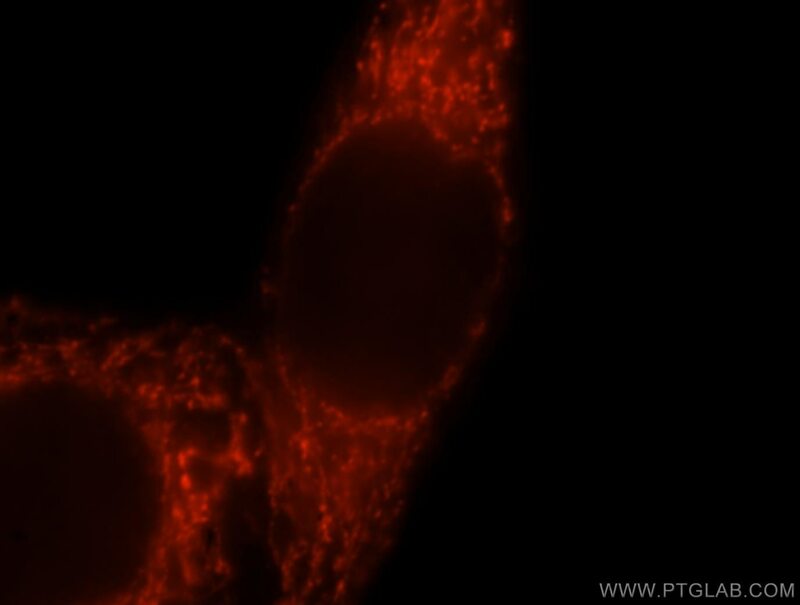 Immunofluorescent analysis of MCF-7 cells, using GSTA3 antibody 16703-1-AP at 1:25 dilution and Rhodamine-labeled goat anti-rabbit IgG (red). 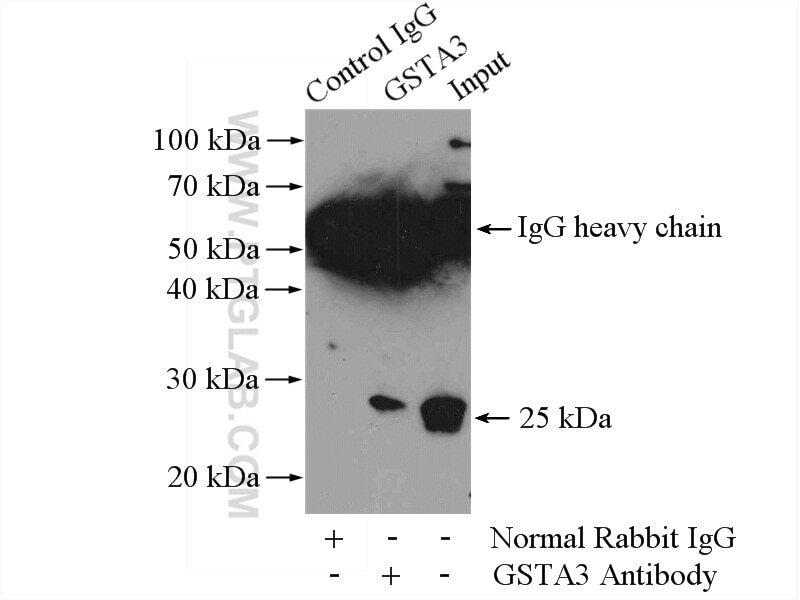 IP Result of anti-GSTA3 (IP:16703-1-AP, 4ug; Detection:16703-1-AP 1:500) with mouse testis tissue lysate 4800ug. Novel Protective Role of Nicotinamide Phosphoribosyltransferase in Acetaminophen-Induced Acute Liver Injury in Mice.